The Akhasheni PDO wine is to be found in Inner Kakheti between the Chermiskevi and Papriskhevi rivers – two right-hand tributaries of the Alazani river. This PDO extends from the prolongation of the wooded slopes of the Tsiv Gombori mountain tange down to the second terrace of the plains bordering the Alazani. The micro-zone’s vineyards grow at an altitude of between 350 and 700 metres above sea level, around the middle and upper parts of the villages of Akhasheni and Chumlaki, as well as the fields of Papari. PDO’s Climate is moderately humid, with hot summers and mild winters. Annual sunshine duration is around 2,150-2200 hours. The average annual air temperature is 12.5°C, with an average annual precipitation of 860mm. Winds largely tend to blow from either the west (32%) or the south-west (23%). Soil: Carbonated and loess; clay; alluvil-diluvial. 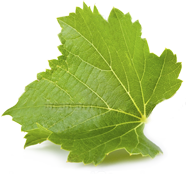 Wine: Wine from this appellation is semi-sweet and has been produced since 1958. 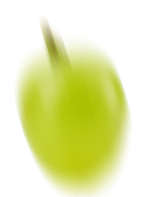 Saperavi grapes grown in the Akhasheni zone, however, are also used to make splendid dry wines.